As a member of accounting team in Canberra, Sanjay Essrani specialises in self managed super fund (SMSF) accounting, administration and taxation, assisting clients with compliance of their SMSF. Sanjay is also responsible for completing clients’ financial statements and tax returns, and organising the independent audit at year-end, ensuring the work is of the highest standard and utmost importance is placed on accuracy. 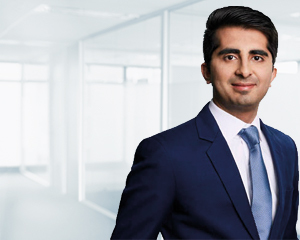 According to Sanjay, Dixon Advisory is committed to providing a high level of support to clients and assists in ensuring their SMSFs comply with the ever-changing superannuation legislative environment. He says, “Our clients take comfort in knowing they have dedicated manager and an investment adviser who are experts in the industry and are just a phone call away to assist them with their SMSF queries. “I enjoy working directly with the clients. Getting to know them is an important aspect of my role as it helps provide me a service tailored to their needs. It is satisfying to know the assistance I provide to clients helps free their time so they can enjoy their retirement even more,” says Sanjay. Sanjay has a Bachelor in Commerce in Accounting and Finance from The Australian National University and is a member of the Chartered Accountants Australia and New Zealand (CAANZ).